The Canada Pension Plan Investment Board (CPPIB) is spending more than $1 billion and partnering with two companies on separate shopping mall investments in South Korea and Germany. CPPIB has entered a joint venture partnership with GIC to acquire D-Cube City in Seoul, South Korea from Daesung Industrial for $321.6 million. Each will own half of the shopping centre, which was completed in 2011. “We are excited about the opportunity to make our first retail investment in South Korea through this joint venture with GIC,” Jimmy Phua, CPPIB managing director and head of real estate investments in Asia, said in a statement. The mall will be rebranded as Hyundai Department store and be operated by Hyundai, which is primarily known as a car manufacturer in Canada but is one of the top retail operators in South Korea. 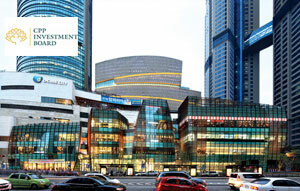 Hyundai will work with CPPIB and GIC in repositioning the mall to better serve the Korean retail market’s steady growth that’s anticipated over the long term. GIC is a Singapore-based global investment firm with more than $100 billion U.S. in real estate, private equity, equities and fixed income assets under management in more than 40 countries. CPPIB’s wholly owned CPPIB Europe subsidiary will form a joint venture with Unibail-Rodamco through the indirect acquisition of a 46.1-per-cent interest in mfi management für immobilien AG (mfi) for $537.3 million. CPPIB will invest a further $499.2 million in support of mfi’s financing strategies. Unibail-Rodamco, Europe’s largest and the world’s second-largest retail REIT with a portfolio worth more than $47 billion, has had an existing joint partnership with CPPIB since last May through Oberhausen, Germany’s CentrO shopping centre, one of the largest malls in the country. As Unibail-Rodamco’s German retail platform, mfi is a fully integrated company engaged in investment, development, leasing and management of shopping centres across Germany. The company’s portfolio consists of seven shopping centres in such cities as Munich, Berlin and Leipzig, as well as one under development in Osnabrück. The second largest property and asset manager in Germany also provides third-party asset management services for another 18 malls across Germany. “As a long-term investor, this transaction provides us with the unique opportunity to achieve immediate scale in the retail sector in Europe’s largest economy,” Andrea Orlandi, CPPIB managing director and head of real estate investments in Europe, said in a release. The transaction is subject to customary closing conditions, including regulatory approvals, and is expected to close in the third quarter of 2015. Toronto-headquartered CPPIB invests in public and private equities, real estate, infrastructure and fixed income instruments. At the end of last year, the CPP Fund had $26.3 billion in real estate investments as part of its $238.8-billion total.